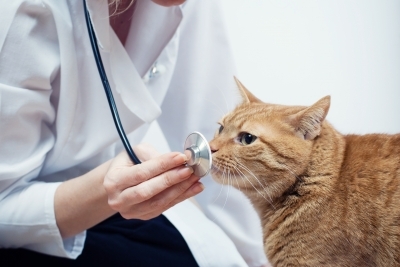 Revenues in veterinary practices continue to climb, but profitability has fallen. The supply-demand currently favoring sellers is about to change, and that is expected to impact sellers. These practices have options—other than selling to a consolidator—and will remain attractive to associates; however, vet practices will need to be proactive to control costs to command a better price. Numerous veterinary practice owners have recently delayed retirement or career redirection as a result of lower revenues, weakening profits and diminished retirement accounts. A common theme recently overheard include “It’s better to keep owning the machine that makes some money, and sell it later when things rebound.” That can be a sound strategy if you are going to own and operate the practice in a growth and expansion mode rather than a status quo mode. We’ve found, however, many owners wanting to exit don’t run their business in a growth and expansion mode. Instead, management continues in a non-decisive or passive business-as-usual approach. Practice value follows practice profits, and value doesn’t bounce back in a single year of good performance. In a tough economy, this means working the business smarter and harder, which isn’t appealing to many veterinarians wanting to exit ownership. For baby boomers, increasing age continues to be a primary and unstoppable influence. There has been a lot of fence-sitting by owners in the past five years. Amazingly, buyer demand for veterinary practices is higher now than previously as many buyers seek employment security through ownership and the potential financial rewards not available to associates. That desire seems fueled, rather than extinguished, by the recent dismal economy. It’s created quite the supply and demand issue. In hot geographies, including very desirable locations within urban areas, practices are selling in weeks rather than months, but the market has begun to show early signs of change in 2014.1 More practices are becoming available for sale, and it is expected the supply-and-demand curve is on the cusp of swinging back the other direction. In the event an owner lacks the desire to significantly improve practice value over the next three years, exiting sooner rather than later may be in his or her best interest before a mediocre-performing practice is lost in a sea of many available for purchase. Selling a veterinary medical practice on the open market typically take six or more months from initial marketing to close of escrow2, but other options like an internal sale to associates, mergers, corporate buyers, and other alternative exit strategies round out the available options for most owners. If you find yourself working in the veterinary market, here’s what you need to know about these kind, caring professionals. First, they made it through veterinary school because most possess a type-A personality. In a clinical setting, the buck stops with the doctor’s decision, so that habitual decisive behavior can carry over to ownership transition decisions. In essence, it can be easy for some to assume they have the knowledge and skill set to complete their own sale when they are used to always having to have the right answers as a doctor. Second, most of the veterinarians are focused on animal care, and ownership is a means to control the delivery of compassionate medicine, not as a financial means to personal prosperity. This has facilitated the development of the term No/LoSM (No/Low-profit practices) to better describe large revenue, small profit practices. Instead of seeing earnings before interest, taxes, depreciation, and amortization (EBITDA) in the range of 14–17 percent of revenue—common to many profitable practices—these practices tend to have adjusted net earnings in the single digits. The most common cause for low earnings in these large, multi-doctor practices is the inattention to controlling the three largest operation expenses. Labor costs should be 18–20 percent of revenue for support staff, and 20–22 percent for doctors. Adding another three percent for soft employment costs, an astute owner can keep the “people budget” to 42 percent of revenue or less. Cost of goods sold, perhaps better described as cost of drugs, supplies, outside laboratory fees, etc., should be 18 percent or less in a well-managed practice. Finally, building occupancy cost, on a triple net basis, whether renting from a third party or adjusted for owner occupied property, should not exceed six percent of revenue in order to maintain the goal of 15 percent or greater adjusted net earnings. These No/Lo practices tend to fail at controlling one or more of these three factors, and as a result, their value and achievable market price is substantially lower. The low valuation will come as a shock to some, yet other veterinarians will be totally fine with it given their lack of focus on profit as a personal and professional goal. Many associates are uninterested in ownership, but for those that are, buying into the current practice they work at, can be very affordable. Essentially all commercial lenders providing practice acquisition financing require 100 percent of the assets to be pledged as collateral coupled with a seller’s reluctance to give up a secured interest in the un-purchased portion of the practice, owner-financing for buy-ins are the norm. Outside of the down payment, the associate simply redirects its share of the earnings in the form of loan payments, essentially giving the seller back its own earnings along with a small amount of interest. This makes the purchase nearly free for the associate, but can serve as a useful transition tool for a seller, especially if the associate’s clinical production increases as a result of adopting ownership-mentality. In states like California, where employee non-compete agreements are unenforceable, a buy-in can be a useful strategy to keep key talent from becoming competition. The veterinary industry has been slow to adopt mergers and acquisitions as an exit or growth strategy. True mergers (a + b = c) are rare, but acquisition-mergers (a + b = a2), whereby one practice purchases a neighboring practice and subsequently mergers the clientele without forming a business partnership with the seller, are increasing. This can be an exceptionally useful strategy for small-grossing practices with very limited sell-ability and low profit as well as a useful growth strategy for practices that need revenue to offset high building-occupancy costs. In some cases, only medical records are purchased. Although no set pricing formula exists, historically records have exchanged hands for a per-active-record price of $12–$20/record or a price based upon a dollar amount derived from calculating an ROI of 18 months. Eighteen months is chosen commonly due to the fact that any given patient should have a three- to four- year life cycle within the acquiring practice before the patient leaves that practice for a multitude of predictable and common reasons. Companies that purchase numerous veterinary practices have been dubbed “corporate consolidators.” They tend to target high-grossing, high-profit practices for acquisition. Be advised that a perpetuated myth about individual veterinarians being unable to get financing to purchase multi-million dollar practices is just that, a myth. Unfortunately, many potential sellers are under the impression that because their internal associates don’t wish to purchase, the only remaining option is selling to a corporate consolidator such as NVA, VCA, and the like. To the contrary, if a practice is large in size as well as profit, funding for private veterinarians is plentiful, and does not require a large 20 or 30 percent down payment to secure financing, making the purchase well within the reach of most veterinarians. Corporate consolidators often pay a premium for these strong performers. Certified and accredited appraisers working in the industry debate the applicability of a marketability premium during the valuation of these types of practices citing the frequency of premiums being paid in actual sales as cause for support. It is not unusual for a corporate consolidator to pay six or seven times earnings translating to 100 to 125 percent of gross revenue. A recent study3 of over 600 practices showed changes in productivity and profit in the veterinary industry (See Figure 1). 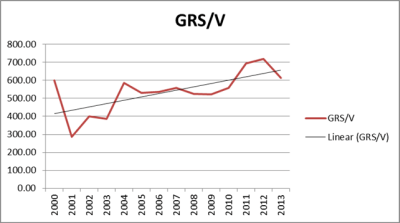 Between 2000 and 2013, gross revenue generated per doctor has increased (GRS); unfortunately, the same data shows a sharp decline in earnings. This will continue to make ownership transition challenging in the veterinary industry. 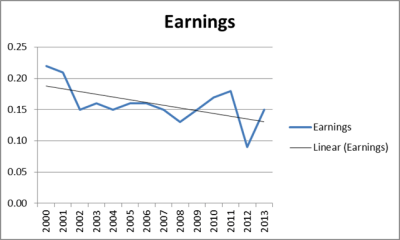 We expect to see price-to-gross ratios continue to diminish until profitability rebounds. Byron Farquer, DVM, CVA, is a previous multi-doctor practice owner specializing in practice valuation and ownership transition. He is a nationally recognized speaker and published author, currently operating two veterinary brokerage and appraisal firms based in California and Nevada. Mr. Farquer serves on a number of veterinary industry advisory boards. He can be reached at (209) 575-0100. 1Simmons & Associates, Veterinary Practice Sales and Appraisals, St. Simons Island, GA.
2SimmonsVetStatsTM, Market Statistics Database, 1977-2014. 3Stephenson, Jim. “Current Veterinary Production and Earnings Study: 600 Practices,” Chapter 30, Your Veterinary Practice: Buying, Selling & Merging, 3rd ed. 2014.